As much as video content has grown in advertising, marketing, and PR, data shows that it continues to expand. WebpageFX predicts that by next year, 90% of online content will be video. 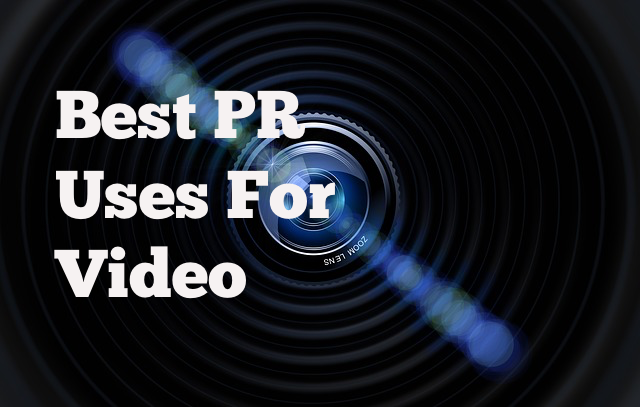 PR practitioners have long helped clients amplify video content through social media promotion and earned media coverage, but they may be underusing video as branded content. Video enhances SEO, has the best ROI, keeps consumers engaged longer, and is more shareable than many other content forms. As noted in our post on long-form content, a CEO can help influence a corporate image as well as build a personal brand through regular video communications. Video also works well as an internal tool for company announcements or simply to show accessibility, as Intuit CEO Brad Smith does in his “new employee welcome message.” Executives can reach out to shareholders or investors through video, as Nestle shows in this message from a 2017 investor seminar. Some CEOs opt for video to control sensitive communications like a public apology. Video communications can work well in time-urgent situations, but a controlled message is just that, and it will be questioned if it doesn’t measure up. That was the case with Equifax CEO Rick Smith’s wooden response to the 2017 data breach. Video can be very revealing, and small things like darting eyes, a robotic tone, or nervous energy can be magnified on-camera. Video is a useful executive tool for getting the facts out quickly, or expressing sincere regret and responsibility in a crisis situation. However, any executive who uses it to try to avoid news media questions in real time will probably find it won’t accomplish that. Internal communications teams use video to convey a corporate culture. Zendesk’s “This is Zendesk” corporate video from 2012 still holds up, because it shows a playful, subtle humor, conveying an egalitarian, socially responsible, and fun environment. The video communicates the corporate culture far better than a statement on a website, so it’s not surprising that it has received 214,000 views. As an alternative, a company can show a “day in the life” of employees or simply interview them one-on-one in a video featurette, like Elite SEM does in its more traditional talking-heads style post. Perhaps the most powerful aspect of video communications is the ability to draw emotional responses. The 97-year-old co-op Land O’Lakes makes extensive use of video on its website and YouTube page, showing its values of innovation, cooperation, and service in a series spotlighting various business partners. “The Farmers” has racked up 215,000 views since 2016, probably because the content is 100% non-promotional PR. It’s pure storytelling. In 2017, Land O’Lakes took it up a conceptual notch, producing “The Believers” — ten highly produced videos that salute the idea of a life in agriculture in a poetic and celebratory way. B2B companies in the tech space are particularly adept at creating videos to demonstrate, explain, and announce their offerings. In the 2018 B2B Buyers Survey Report, 77 percent of buyers named “deployment time/ease of use” as the top variable in making a final decision on solution providers. Anything less than a clear and easy demo in a well-produced video could be a deal breaker for buyers deep into their journey. Meanwhile, explainer videos are a terrific way to delight and educate consumers while dispensing with the hard sell. Slack’s explainer uses no words, just colorful visuals to show its software while communicating a distinctive brand voice. As a bonus, explainer and demo videos can also reduce the resources needed for various other corporate functions like onboarding and customer service. 77% of B2B buyers in the evaluation stage say that case studies are the most influential content they see from companies. Verizon’s Oath uses video to take the traditional case study beyond the usual infographic or blog post. In this cmobile advertising case study involving Huawei, the situation is highlighted in an exciting and visually stimulating way that works far harder than bullet points and statistics. The sensory appeal of a well-produced video helps convert sales, since more people finish watching videos than they do reading text articles, and more consumers share video on social media by a wide margin. An executive thought leader’s keynote speech or remarks at an industry event or conference should always be professionally videotaped. Often a prominent conference will film or livestream the presentation and post them on its website for downloading, like these videos from the 2018 Voice Summit. But typically this kind of video content must be edited fairly drastically before being repurposed for a YouTube channel or its website, and amplified on other social channels as a badge of credibility and authority. A good PR team also knows that a well-produced keynote speech or panel discussion video can be a valuable resume item to earn additional speaking engagements and media interviews.